Welcome to the weekend trulovers! I do love a wedding film an I am looking to feature more of them over the coming year, so videographers, planners and brides do be sure to send them in. Today we are transported to the South West of France in today’s rustic outdoor wedding film by ZEN Film Works, of Sally and James’ personalised wedding day with the help of Marry Me in France. 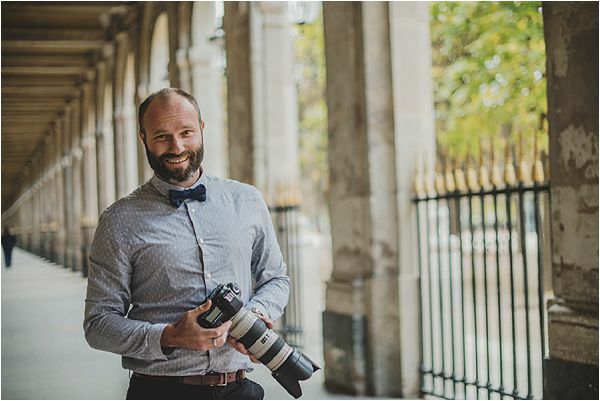 Groom James takes us through their wedding planning: “We chose St Privat because of it’s stunning grounds and the promise of sunshine (go figure!!). The pool was the perfect backdrop as well as a great place to continue the celebrations on Sunday. St Privat offered so much, great scenery, classic French style, space for friends and family (including several places nearby). We were delighted with it all, and consider ourselves very lucky to have called St Privat home for the weekend. We wanted an outdoors relaxed and honest wedding ceremony, with wild flowers around us and our family and friends. 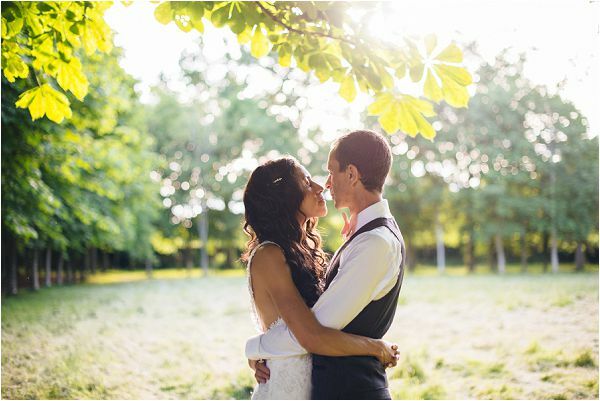 We wanted to get married under a tree, under the sun, with natural scents around us. We tried our best to keep the entire day relaxed, and selected classic food (tapas style), simple wines and simple materials to make the most of the stunning chateau. Sally and I agreed on everything from start to finish (almost!) and I think that’s why our wedding felt so right, it really was a combination of us. 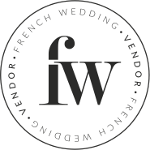 When it came to finding out suppliers our wedding planner Louise from MMIF was superb, she went above and beyond to help us make our day just as we’d hoped and cant wait to offer a recomendation for her. Louise was a ‘yes’ person, and that helped immensely. Jos (our caterer) came on Lou’s recommendation. We visited his restaurant (Domain des Vignes) prior to the big day and were blown away with his creations. He laughed at us when we said we wanted Moule Frite as our main course, but soon understood what we were after, relaxed food of the best possible quality, Jos delivered. Sally found her dress four days after getting engaged at a local boutique Melanie James. James wanted a twist on the classic tweed, and was planning on rolled up sleeves until the bride unveiled a matching jacket as a gift on the big day. James’ suit was tailored in Manchester at Frank Rostron. Our day followed the classic theme, with our ceremony starting at 3.30 (just after the rain stopped…we couldn’t have timed it better!) Our ceremony included Ugandan proverbs, poems written and delivered by one of the bridesmaids and a story about a pair of dinosaurs from the birds sister. Canapé’s by the pool, a three course sit down in the barn, followed by lots of dancing folowing crazy mojotos! We had no issues planning a wedding in France, honestly, none. Louise was fantastic, and the grooms parents lived in the area which was a great help. Shoes: – Groom Ted Baker.